You know that moment of excitement when you've been waiting for a package, and you finally receive it? 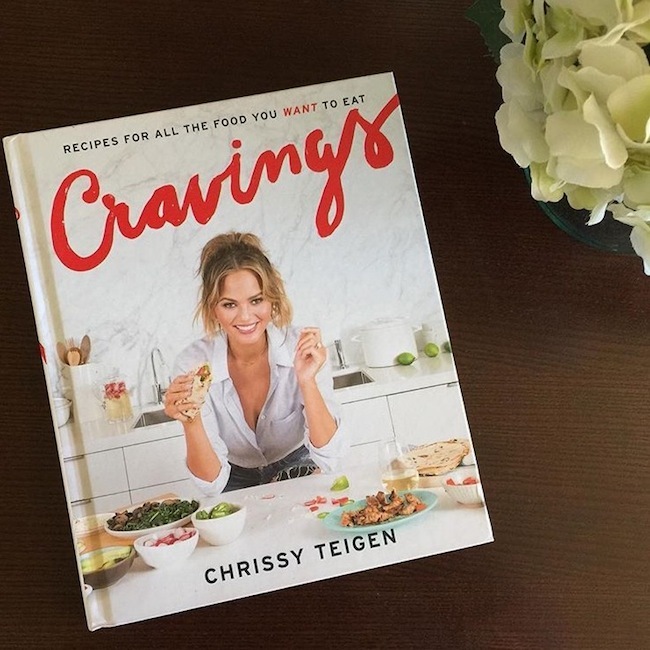 My doppelgänger Chrissy Tiegen's cookbook CRAVINGS I pre-ordered a while ago has finally arrived! Woo hoo, time to bust my chops in the kitchen and bang out some recipes. So many comfort food recipes that I've seen her posting before on her Instagram page, that I've previously drooled over but now for real life can drool while eating! The text is light hearted and funny, as she has a great sense of humor. Recipes are short and don't look overly complicated, so won't scare you off. She also includes a few of her Husband and Dad's hits. 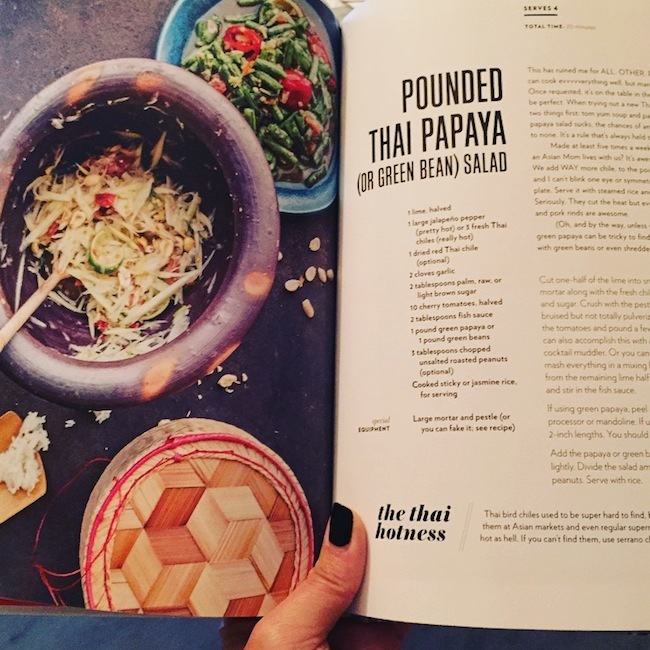 But the real bonus is the section dedicated to her Mom who is Thai and her delectable Thai recipes. 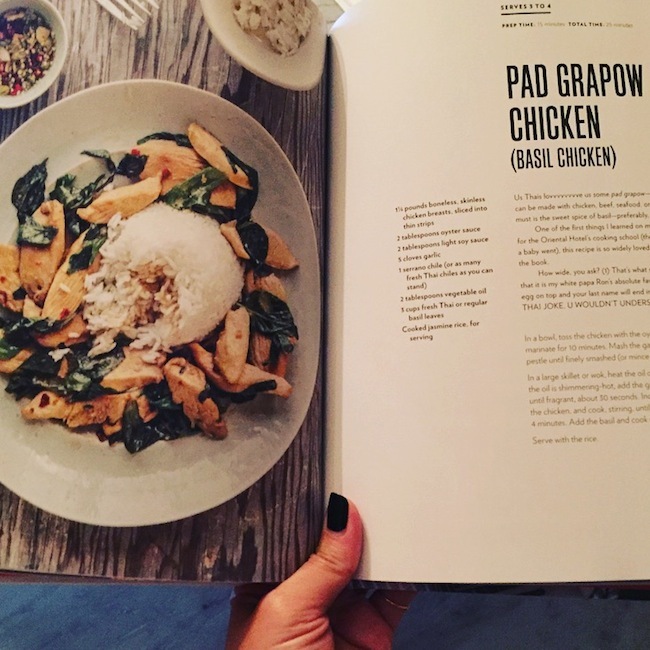 I would be super happy if I could make these two Thai dishes at home. They are my faves that I always order when I'm at a Thai joint. Love this girl! Still don't see the resemblance between me and her though, even though I do get that doppelgänger comment a lot. My reaction is always...Umm, she's a Sports Illustrated model and married to a legend, musician John Legend…far from where I rank! But I rather she be my doppelgänger then stupid Kourtney Kardashian, another one I use to get. Barf! People please don't insult my intelligence! HA. Anyways, support my girl Chrissy. Check out her book in stores now, and if you've got that groupie obsession gene like me, stay on the look out for if and when she's coming to your town for a book signing! She's preggers now so I don't know if it will be anytime soon. But I hope to meet her one day. She's too cute!